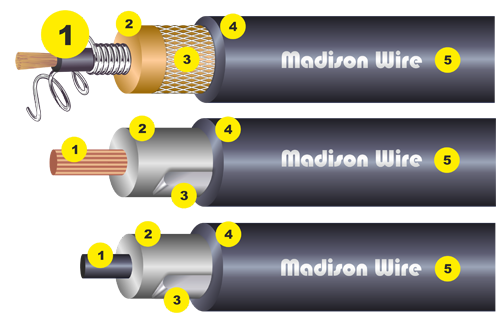 Cables | Madison Wire (Europe) Ltd.
As a leading ignition cable manufacturer, Madison Wire (Europe) Ltd is able to produce all kinds of ignition cable. Below you will find various options that are currently been used by existing customers. However, with our many years of experience and continued research to improve the cable, we aim for better products and cost saving solutions at all times. With our experience in high voltage cables, our manufacturing facilities, research departments and material suppliers in high voltage cables and materials we help develop new cables for various industries to meet new requirements. To build a cable we start with selecting the core for the application required. Ethylene-propylene-diene Monomer (EPDM), has good dielectric strength, excellent abrasion resistance, excellent low temperature flexibility and stripping ability. 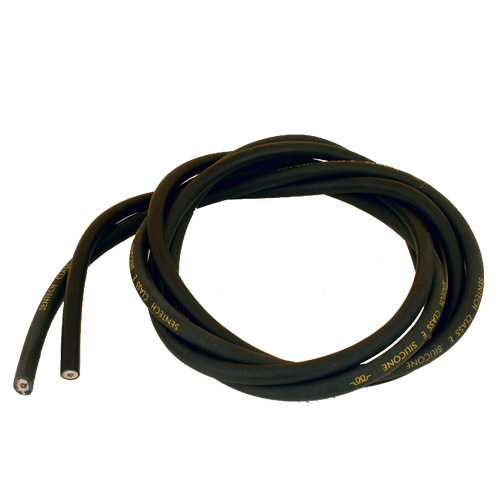 EPDM is widely used for ignition cables as a single extrusion insulator, a double extrusion (EPDM/EPDM) or as the inner insulator. EPDM replaced the PVC cable as it withstands higher temperatures and has better di-electric strength properties. * Please note that EPDM and EPS do not meet ISO 3808 requirement in oil and flame retardant tests if used as an outer insulation material. Ethylene-propylene-diene Monomer Silicone Blend (EPS) is based on EPDM. It has the same high di-electric strength properties, excellent abrasion resistance, excellent low temperature flexibility and stripping abilitry. 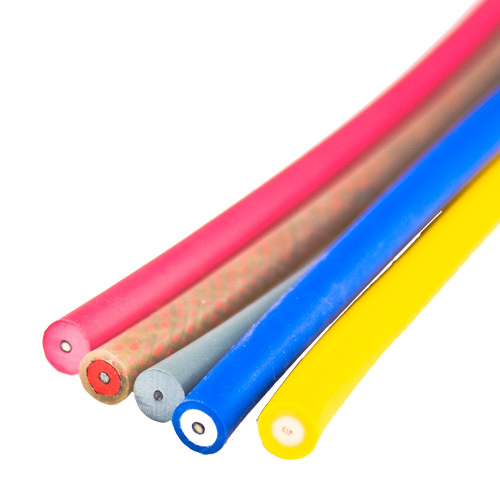 EPS was developed in America where by adding a small percentage of Silicone to the EPDM compound, customers were allowed to print the word Silicone on the cable. It is a marketing product. It is more economical then Silicone cable. It has become hugely popurlar, especially in the replacement market. EPS is mainly used as an outer insulation material. 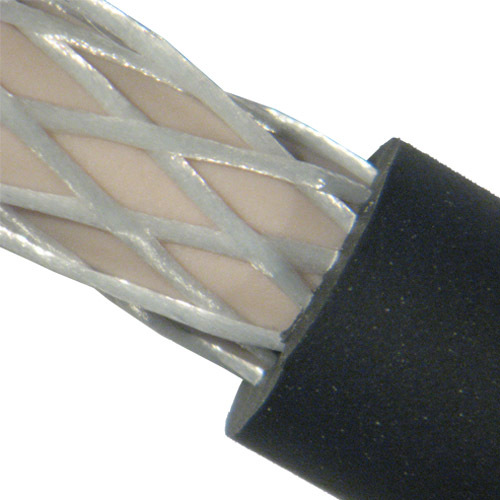 However it is also an excellent insulator when used as an internal insulator or to make a single extrusion cable. 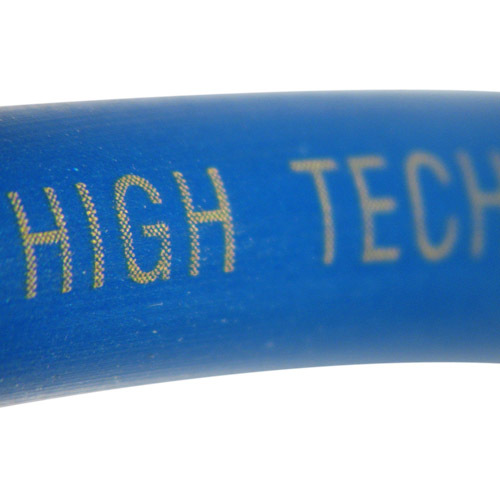 Chlorinated Polyethylene (CPE), is the replacement product for the hypalon cables. CPE provides an excellent balance of properties: flame retardancy, oil resistance, wear resistance, tear resistance, cold temperature resistance, weathering resistance and excellent mechanical properties. Compared to EPDM it has a better chemical resistance, heat resistance, oil resistance and flame resistance. Ethyl Vinyl Acetate (EVA) shows similar results as CPE. It is slightly tougher and compared to EPDM it provides better chemical and gas resistance, flame retardency and oil resistance. Silicone rubber is an inorganic synthetic. It offers a unique combination of chemical and mechanical properties organic elastomers (such as EPDM, EPC, CPE and EVA) cannot match. The insulation colour can be made to customer specification. Colours can be matched to exact requirement in the laboratory. Standard colours are Black, Blue, Red, Grey and Yellow. The most common construction is a double extrusion (2 layers of insulation), whereby an EPDM, EPS or Silicone is chosen as the internal insulation for their high di-electric strength properties. The external insulation would then be made with any of the options EPDM, EPS (Silicone Blend) CPE, EVA or Silicone. The external insulation protects the cable against dust, water, fuel and oil and other. The external insulation too has great di-electric strength to increase the overall di-electric strength exceeding 40k Volt depending on diameter. * Please notice that EPDM and EPS do not meet ISO 3808 requirement in oil and flame retardant tests if used as an outer insulation material. Conductor, choose from: Wire-wound, Kevlar Suppressed or Copper core. First layer of insulation – Mainly in white colour made of EPDM, EPS or Silicone as a basic insulation to protect the cable against high voltage leakage. Woven braid or tape braid is used especially with silicone insulation. Silicone is not a mechanical strong material and to improve pull of strength it is important to use either a woven braid or tape braid. It allows the terminal to have a better grip on the cable. We would recommend avoiding a braid with external insulations such as EPDM, EPS, CPE and EVA as these materials have a very strong bonding with the inner insulation and have stronger mechanical properties. External insulation. Protects cable again dust, water, fuel and oil and other. We use EPDM, EPS, CPE, EVA and Silicone. Our standard colours are black, blue, red, grey and yellow. 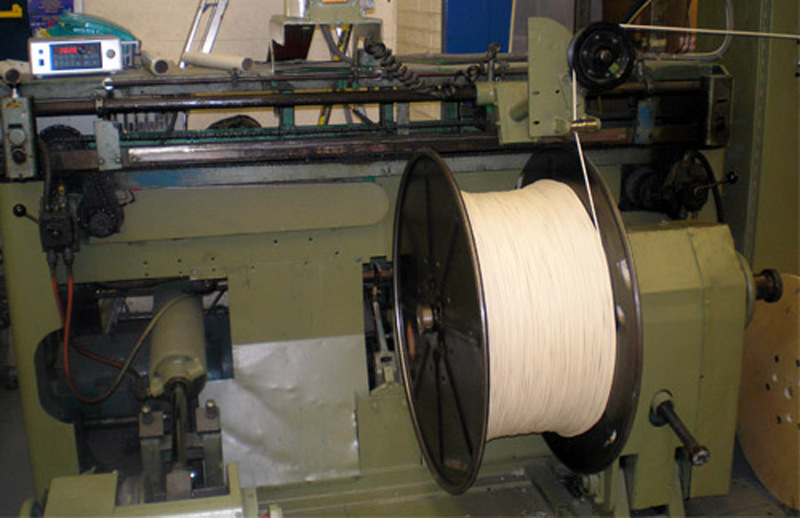 We can make cable in any colour using Pantone, RAL or match colours on samples supplied. Printing on cable. We can print most text/logo’s on the cable. The colours of ink used currently are white, black, yellow, silver and gold.